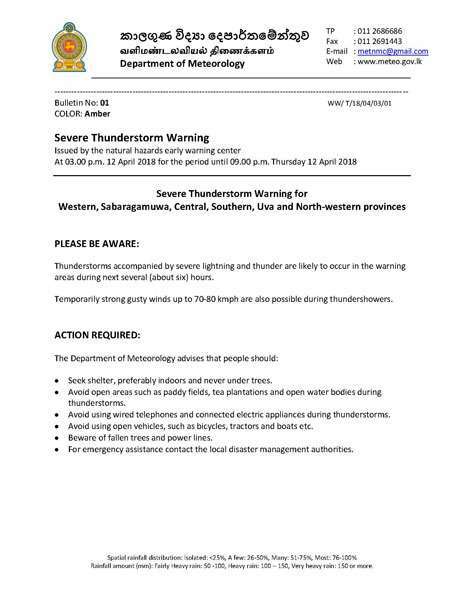 Severe thunderstorm to continue: Met. Dept. 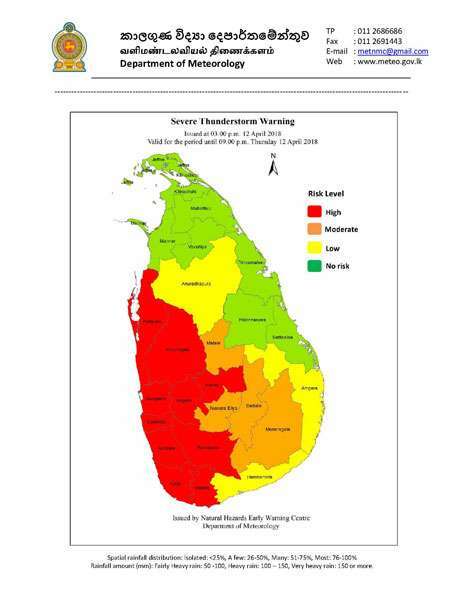 The Meteorology Department warned of thunderstorms accompanied by severe lightning and thunder in Western, Sabaragamuwa, Central, Southern, Uva and North-western provinces during the next six hours starting from 3.00 pm today.